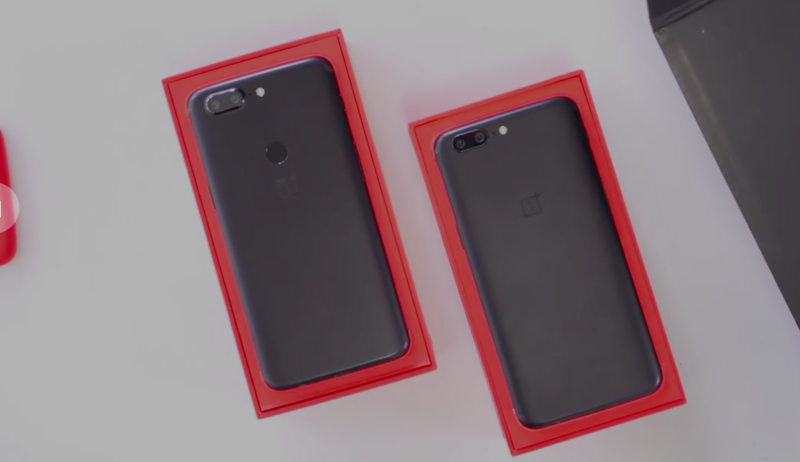 Oneplus 5T price and specifications – Oneplus 5T was launched recently on 16 November 2017 through an event, and as it was launched today, everything, from specifications to hands-on to price is revealed and we covered all these things in a single article. Oneplus 5T seems to be a better sequel to the Oneplus 5 series [yes, it’s a sequel to oneplus 5]. We knew oneplus 5T specifications, price, looks, details, overall changes, and improvements and much more which is leaked right before the launch event date. Well, it’s good as well as bad news. Good for the oneplus fans and users as they got to know about it 3 days ago and bad because now the special event has no value as everything is leaked. So, let’s get deep into it and know oneplus 5T specifications, overall improvements, and details. Well, oneplus played a very nice game here. If we take a look at our previous one plus 5, it has AMOLED 5.5 inches display which has the resolution of 1080p. But if we ca,e across oneplus 5T, here we saw the big change. Oneplus 5T sports a massive 6 inches display along with 2160 x 1080p resolution [full HD+ or 2K display] which has the aspect ratio of 18:9 which was previously 16:9 in oneplus 5. 18:9 aspect ratio helps to provide the bigger user experience while watching videos and play games. I liked this thing because that ratio is perfect for watching movies. Basically, we saw the bigger display on the front side of oneplus 5t, but there’s not much difference in the overall measurement of the phone. What does it mean? This means that all the things which are extra than display are shifted to the back side of the phone. As navigation buttons are not transferable, so, they removed the physical navigation buttons and now you can see all buttons on the screen, and if we talk about the fingerprint scanner, then it is transferred to the back side of the phone, at the exact point where the oneplus logo is presented on the oneplus 5. Oneplus 5 successor has the fingerprint scanner n the back and the oneplus logo is shifted right below the fingerprint scanner. In oneplus 5, we saw the dual camera setup on the back side in which one of the cameras has the aperture of f/2.6 which, I think, was not capable to perform at its peak in the low light conditions. But now, Oneplus take a leap ahead and improved the overall camera performance of oneplus 5T by improving the aperture from f/2.6 to f/1.7 which is capable to give some better picture clicks in the low light conditions. Now, both cameras on the back side of oneplus 5T have F/1.7 aperture through which we can see the overall boost in camera performance in the low light conditions. Happy! The focal length of 27.22mm is the same on both the cameras that are located on the back side of OnePlus 5 successor. This will let measure the depth of scenery well and focus the object which we want well by improving it’s details and better bokeh effect, leading to a great portrait capture. The multi-frame algorithm of camera compares the different frames to remove the inconsistencies and improve the overall clarity of the portraits. As the focal length of the rear camera is same, there is no space for cropping the pictures and let the picture original and untouched. This time, oneplus redesigned the whole camera software setup in the Oneplus 5T. The typical oxygenOS camera app now has some new features included as well as the overall UI of the camera is also improved now. One of the features in the software part of a camera is the “one hand feature”. As we know that this oneplus 5 successor has a massive 6 inches display, some users will feel uncomfortable because of a slightly larger display. The access to different camera modes, manual settings, etc. makes it easy for the users without having to worry about the size. Onplus took this thing seriously and added a new feature for those users so that they can handle the camera app from one hand and shot video and click pictures with less distortion and shakiness. It is coming in 2 variants, one with 6GB RAM and 64GB internal storage and another one with 8GB RAM and 64GB storage. Oneplus 5T Price of 6GB variant is 32999rs. and Oneplus 5T Price of 8GB Variant is 37999rs. The good thing here is that the Oneplus 5T price is as similar as of the oneplus 5 price of both variants. So friend, above are the complete Oneplus 5T specifications along with the oneplus 5T price and hands-on. Let’s see how this smartphone performs in the market and benchmarks. According to these specifications and Oneplus 5T price, I am pretty much impressed with it. Hope for the best! Do these specifications impress you? Whats your opinion regarding its price? Let’s discuss this thing in the comments section. If you have any query regarding anything described in the oneplus 5T price and specifications, then please let us know through the comments section and I will try to solve your query as fast as possible. If you liked this article then please share this with your friends and groups so that they will also come to know about this oneplus 5 successor. We Will meet again in our next article, Till Then, Build Best Stay Cool!